Macpac refuse bodies have been working to extend the capability of the range of products offered. 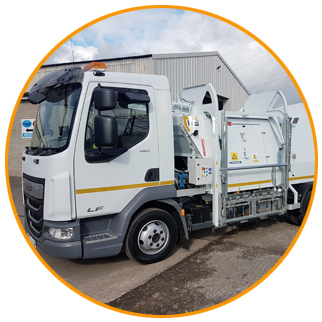 Our range now includes food waste vehicles that will assist both existing and new customers deal with the demands and regulations of the food waste industry. 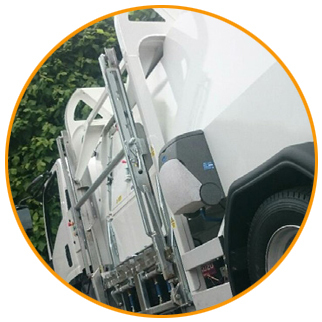 This means we can now offer refuse vehicle solutions that are capable of facilitating the safe and controlled collection and transport of food waste. There are a range of key benefits with Macpac refuse bodies, including varying payload options from 2.3 tonne to 5 tonne, waste type dependant. The bodies are fully sealed and have a double sealed, double locking rear door, reducing spillages and losses during collection and transport. The body is fully enclosed, allowing safe and controlled collection of waste. The eject procedure is non tipping, meaning less spillages and splashback. The operation of the body is a four ram hydraulic operation resulting in low maintenance. The Macpac 65s has a capacity of 6.5m3, the height of the vehicle is 2.7m (chassis dependent) with an overall width of 2.2m. The 65s has a compaction ratio of 3:1, the compaction cycle is controlled by a hydraulic pressure signal to return solenoid operated hydraulic control. It is also fitted with a low compaction option. The Macpac range uses our own integrated side loading bin lift. The body is fully interlocked on loading doors, bin lifter and tailgate. The lifter is capable of lifting all bins from 80 litres to 1280 litres. The average cycle per bin is 12 seconds. The 65s can be mounted on chassis from 7.5t up to 12t. it is designed with safety in mind with operatives working at the side of the vehicle. Again, with safety in mind, the load can be ejected from inside the cab. The loading doors cannot be opened while compaction is in operation.